Whatever kind of mothers are we talking about - it breaks the heart for each one if something is wrong with her baby. There is nothing else in the cows and other animals who face such a cruel fate around the world. In the desire to earn more money, many owners sell calfs before they even have a chance to stand on their own. 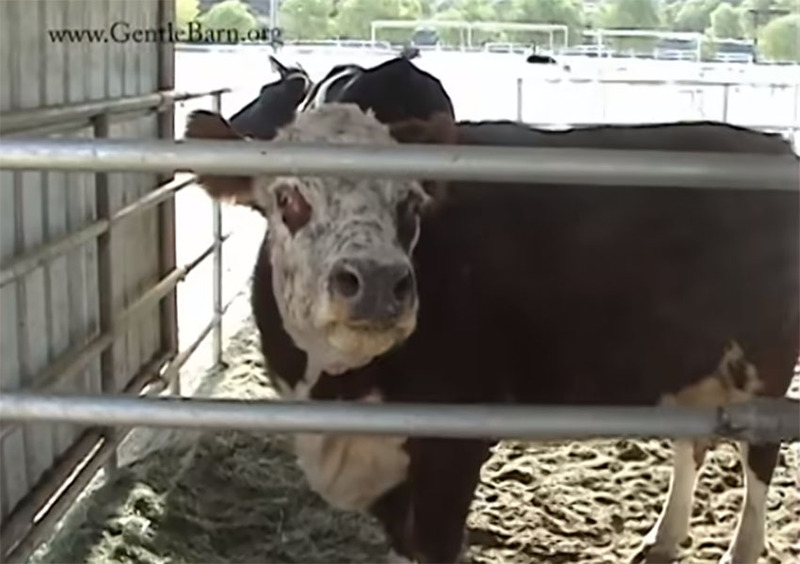 A cow Karma faced such a cruel fate, who was living under poor conditions at the farmer. Luckly for her she was saved by The Gentle Barn animal sanctuary. The volunteers did not know that the previous owner of the Karma hid her baby Mr. Rojas in front of them. He did this so he could sell the baby after the cow's departure and thus earn some more. They soon found out that the previous owner of the cow hid a baby in front of them, so they went to his farm. There they asked him to hand over Karma's baby to them, since his mother was completely on the edge. The farmer gave up, and then handed the baby to good people from the sanctuary. When they transported baby Mr. Rojas to the property with the trailer, Karma immediately knew that her baby was on the deck. She started to make loud calls, and in fact, her calls broke the heart of many watchers at the time of her reunion. See how wonderful the scene was when the Karma cow saw his baby again, which she thought was lost forever. This is just another proof of true maternal love, which can also be found in animals! Since when does a hereford, produce a jersey calf. Yes, cows are strongly attached to their calves. Yes they mourn. But this video does not match the story. The calf is 4-5 months old, a jersey Dairy breed, The cow is a hereford, beef breed and while they can cross these match their breeds pretty well and show no signs of being crossed. Herefords produce white faces.